US Treasury has revised sanctions regime in Russia’s Crimea, allowing residents of the peninsula to operate US bank accounts. Crimeans will also be able to send and receive non-commercial personal money transfers. 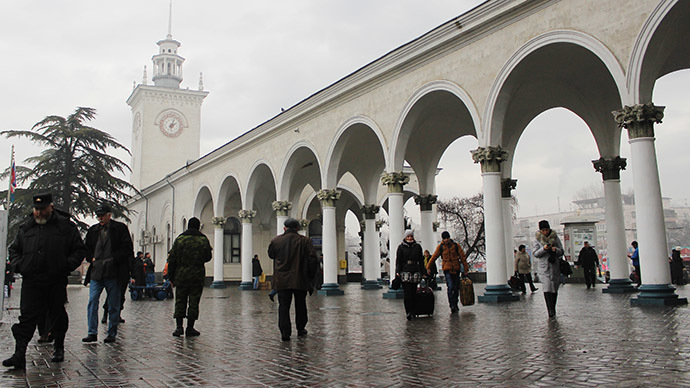 Washington is easing the latest restrictions it imposed on Crimeans on December 19, making concessions to those residents of the peninsula that were not earlier specifically blacklisted by the US. The updates to the sanctions, published Friday, allow Crimeans to have bank accounts in the US. “The operation of an account in a US financial institution for an individual in the Crimea region… is authorized provided that transactions processed through the account are of a personal nature and not for use in supporting or operating a business,” an executive order by Treasury’s Office of Foreign Assets Control reads. US citizens and banking institutions are allowed to transfer money to and from Crimea on condition the transaction is non-commercial. “US persons…[and] US registered money transmitters are authorized to process transfers of, funds to or from the Crimea region… in cases in which the transfer involves a noncommercial, personal remittance,” the Treasury said. According to updated sanctions transactions related to telecommunications as well as mail and packages delivery are also authorized by the Treasury. What Americans are not allowed is to sell or to lease telecommunications equipment and technology to Crimea residents. Crimea held a referendum in March 2014, with 96 percent of voters saying yes to secession from Ukraine and reunification with Russia. The United States and the EU have not recognized the referendum results and have accused Russia of annexing Crimea. They have imposed a series of economic sanctions on both Russia and Crimea.